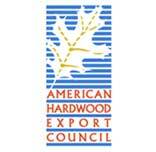 AHEC is the leading international trade association for the U.S. hardwood industry, representing the committed exporters among U.S. hardwood companies and all the major hardwood product trade associations. The authoritative resource for excellence in architectural woodwork. The Hardwood Forestry Fund is a 501(c)(3) educational organization dedicated to establishing sustainable hardwood forests. Authoritative resource for the hardwood plywood, veneer, and engineered flooring industries. We also offer complete fire, wood, and chemical testing services. The National Association of Store Fixture Manufacturers (NASFM) was organized to raise the professional, educational, and ethical standards of the store fixture manufacturing industry, and to promote the value of members’ products and services to their customers. An association for distributors and manufacturers of building materials designed to enhance member profitability and productivity through operational and market-focused programs and services. WoodLINKS is a wood products industry / education partnership delivering innovative curriculum, lesson plans and training and testing to high school and college students.